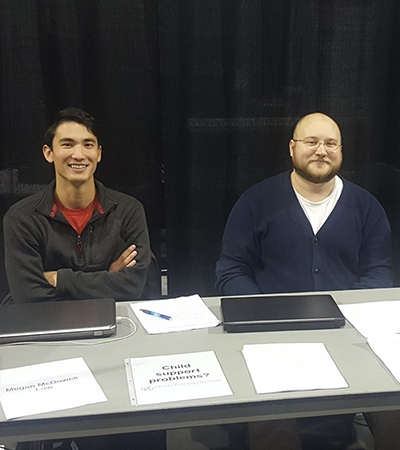 Clinic students Jon Smith and Patrick Ryan, along with Clinic alum Megan McDowell, provided advice and forms on child support modification at this year's Project Homeless Connect Event at the Pinnacle Bank Arena. In total, the team assisted 29 member of the community. Jon and Patrick are operating the Clinic's Family Law Project this semester, and volunteered to assist Megan at her booth.